White House responds to “Deport Justin Bieber” online petition. 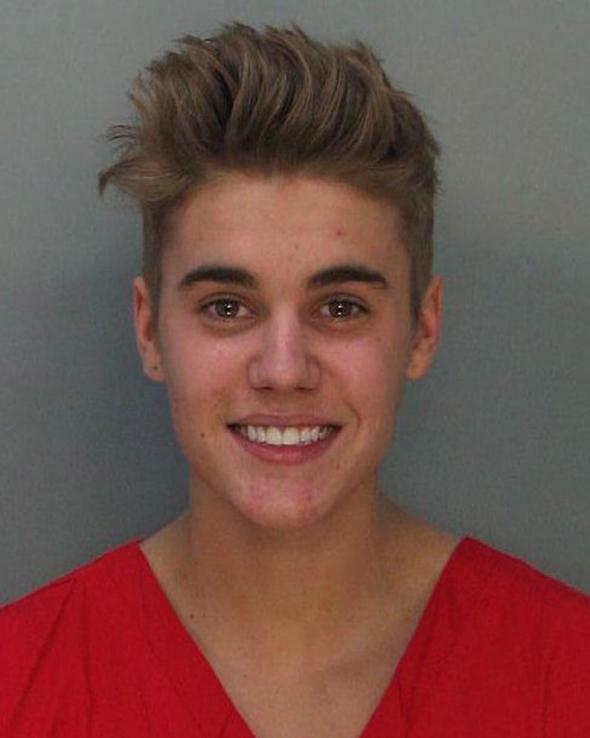 Justin Bieber poses for a booking photo at the Miami-Dade Police Department on January 23, 2014 in Miami, Florida. The White House weighed in on the great Justin Bieber deportation debate. Sort of. The White House response came after a “Deport Justin Bieber and revoke his green card” petition at Whitehouse.gov garnered nearly 274,000 signatures easily hurdling the 100,000 benchmark needed for a White House response. The tongue-in-cheek petition was created in January after the Canadian pop star was arrested in Florida for DUI, drag racing, and a host of other legal no-no’s. Bieber lives in L.A. on a O-1 visa, Time reports, which is for “individuals with an extraordinary ability in the arts or extraordinary achievement in motion picture or television industry.” Following his latest round of rock star shenanigans, the non-Beliebers had seen enough and petitioned the White House to have Bieber sent packing. The White House responded saying, essentially, “nice one, but we’re not going to go there.” Or more literally: “Sorry to disappoint, but we won’t be commenting on this one,” the response reads citing the need to avoid “the appearance of improper influence.” The Bieber-themed response did, however, go on to stump for immigration reform. We need common-sense immigration reform to make sure everyone plays by the same set of rules. Not only is it the right thing to do morally, it’s the right thing for our country: Independent economists say immigration reform will grow our economy and shrink our deficits by almost $1 trillion in the next 20 years. For those of you counting at home, that’s 12.5 billion concert tickets – or 100 billion copies of Mr. Bieber’s debut album. You better believe it.